The Oilholic has always been intrigued by Oman's oil & gas industry. The oil storage tanks atop the Al Wattayah cliffs of the Hajar Mountain range (see left) dominate the scenery behind Muscat and Muttrah's natural harbours. They also bear a silent but impactful testament to black gold's importance in this part of the world. In a regional context, and from a geopolitical standpoint, Oman's 5.5 billion barrels of oil equivalent (boe) in proven reserves are the largest for any non-OPEC country in the Middle East. Admittedly, in this part of the world, there aren't that many non-OPEC players of significance in any case, let alone one with such a proven reserves position. However, given that Oman does not have as much in terms of reserves relative to its regional oil exporting peers, is precisely why IOCs get better deals when it comes to oil & gas prospection here. The Petroleum Development Oman (PDO) holds around 92% of Oman's oil reserves. Aside from the government's 60% stake in PDO, Shell is the junior partner with 34%. Total (4%) and Partex (2%) make up the rest with minority stakes. For all of that, it's actually Occidental Petroleum which has the largest operations of any IOC in Oman and is the country's second largest oil-producer! Chinese presence here is the shape of CNPC, while BP, Repsol and KoGas are meaningful industry participants as well. The country has come a long way from signing its first export consignment of 543,800 barrels of the crude stuff delivered F.O.B Mina-al Fahal for a purchase price of US$1.42 per barrel (to Shell) way back on that historic date of August 8, 1967. PDO archives reveal that momentous invoice which was the harbinger of things to come (see right, click to enlarge). The journey so far has not been without hiccups. A lot of soul-searching ensued when production, which at one point was above 950,000 barrels of oil equivalent per day (boepd) in the late 1990s, plummeted to an all time low of 714,000 boepd in 2007. However, initial anxieties about a general decline in oil & gas production have been replaced by renewed vigour and pragmatism with output rising steadily if not spectacularly in recent years. Two key decisions taken by the administration of Sultan Qaboos bin Said Al Said have seen Oman turn a corner. As the Oilholic noted in an earlier blog post, the first move was to diversify Oman's economy away from oil & gas and promote transport, cargo & logistics, regional banking and, of course, tourism sectors. 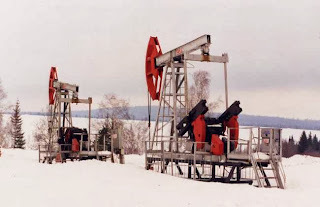 The plan was dubbed "Vision 2020" and initiated in 1998, when the oil price dipped below $10 per barrel. The second move, kick-started in 2002, saw a strategic increase in petrodollars pumped into boosting oil production via enhanced recovery mechanisms at ageing oilfields. Miscible gas injection, thermal injection and polymer flooding were the techniques which found favour. Of these, thermal has proved most popular being deployed at Mukhaizna, Marmul, Amal-East, Amal-West and Qarn Alam fields. However, the PDO is employing traditional water-flooding at Yibal; the largest oilfield in the country. The changes are tangible. According to the US EIA, Oman's average production came in at 923,500 boepd in 2012. Updating the figure, a PDO spokesperson told the Oilholic that H1 2013 production was in the region was around 944,200 boepd. "All said medium term production expectation of over 930,000 boepd based on current investment and undertaking would be a realistic supposition for next few years," he added. The country's Petroleum Investments Directorate at the Ministry of Oil & Gas breaks this up as 900,000 barrels per day (bpd) of the crude stuff and 3.3 bcm of natural gas. The figure is based on 2012 data from seven – mainly onshore – production blocks. PDO also looks set to pump additional funds, above and beyond what was budgeted in 2002, into improving production even further. Despite the best efforts of yours truly, a reliable figure was not forthcoming. But if one was to take a cumulative average of what local analysts say – we'd be looking at a minimum spend in the region of $6 billion per annum for the next 10 years. While onshore prospects have historically been Oman's mainstay, as the Oilholic noted an earlier blog from Khasab – Bukha's offshore prospects are noteworthy. Norwegian independent upstart DNO International's 'Block 8' prospection off the Musandam coastline could well and truly shake things up. Some say it already is! The block is yielding 8,000 bpd, but reliable local sources say that once its full potential is realised, we could be looking at 20,000 bpd. The big question is – could fresh Omani prospection coupled with the ongoing enhanced recovery programme – push production above the psychologically uplifting and headline grabbing figure of 1 million bpd? Based on empirical and anecdotal evidence, thoughts of market commentators in Muscat and Abu Dhabi and the Oilholic's own calculations – sadly no! However, Omani production will be tantalisingly close to the magic mark as early as Q1 2014, and this blogger would be delighted for the country were he to be proved wrong, however briefly. Regardless of the final figures, what does it mean and for whom? Almost 760,000 bpd would be exported by 2014, according to the government. The Far East seems to be the preferred destination for Omani Crude – with China, Japan and South Korea being the buyers. Since 2005, India is also looking towards Oman, more so, since last year, as the availability of Iranian crude remains sanction hit. Well, it is nearly time to call it a day here in Muscat. But not before the Oilholic leaves you with a view of His Majesty Sultan Qaboos' Royal Yacht - its one magnificent floater (see above left) ! Additionally, see below, from clockwise from left to right – the Royal Opera House, a very Omani sunset, Muscat's answer to London’s "Boris Bikes" and the Marina Bandar Ar Rawdah. It's been a thoroughly memorable visit to this wonderful country, full of warm, gracious and welcoming people. One is truly grateful to professionals and commentators from PDO to BankMuscat, from the Oil & Gas Exhibition Centre to local guides who spared their valuable time to discuss various aspects of Oman's oil & gas industry. However, away from Oman and just before boarding the flight to London Heathrow, one has a bit of reading material to flag-up. First, here's a brilliant column in the FT by Victor Mallet discussing travails of the Indian Rupee, in the current climate of foreign investors wanting to pull their money of emerging markets. The second is a BBC report about Egyptian officials saying they had foiled an attack aimed at disrupting shipping in the busy Suez Canal. This is seriously spooky with on-going problems in Syria, Libya and Egypt itself. To put things into their proper context, the Suez Canal sees 800,000 barrels of crude and 1.5 million barrels of petroleum distillate products pass each day through its narrow confines between the Red Sea and the Mediterranean Sea. Furthermore, it's not just the canal that should be of concern. With nefarious characters lurking around, another supply route of concern might be the Suez-Mediterranean pipeline which ferries through 1.7 million bpd. Disruption to either could see the risk premium on Brent be hit for six! That's all from Oman folks! Keep reading, keep it 'crude'! © Gaurav Sharma 2013. Photo 1: Oil storage tanks atop the Al Wattayah cliffs of the Hajar Mountain range, Muscat, Oman. Photo 2: Invoice of the first consignment of Omani oil exports, 1967. Photo 3: Sultan Qaboos’ Royal Yacht, off Muttrah coast, Oman. 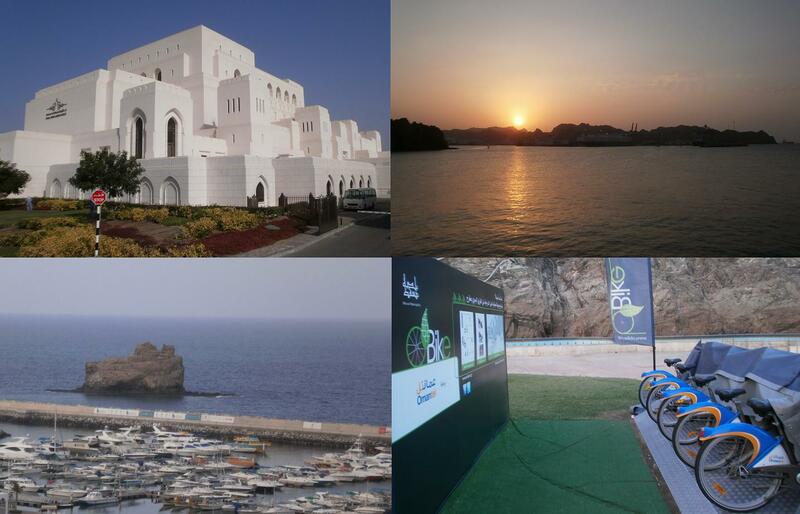 Photo 4: Clockwise from left to right – Royal Opera House, Sunset in Muscat, the city’s answer to London’s "Boris Bikes" and the Marina Bandar Ar Rawdah , Oman © Gaurav Sharma, August, 2013.